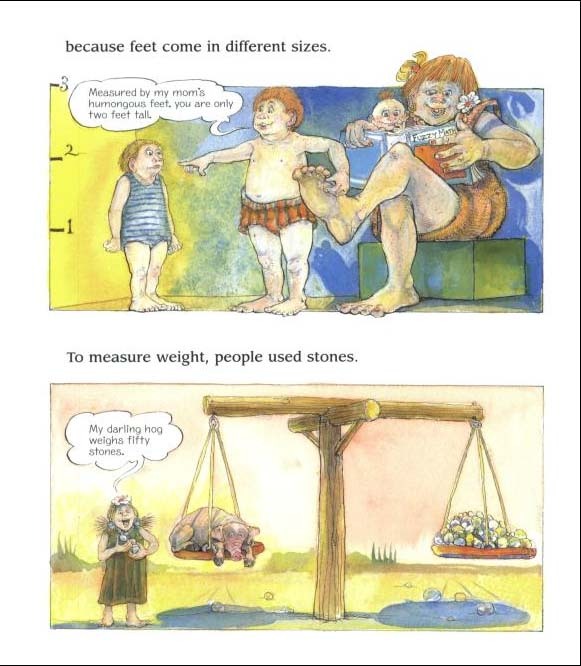 Marvelosissimo the Magician teaches the history of measurement (weight, volume, metric system) via lots of whimsical examples and illustrations. 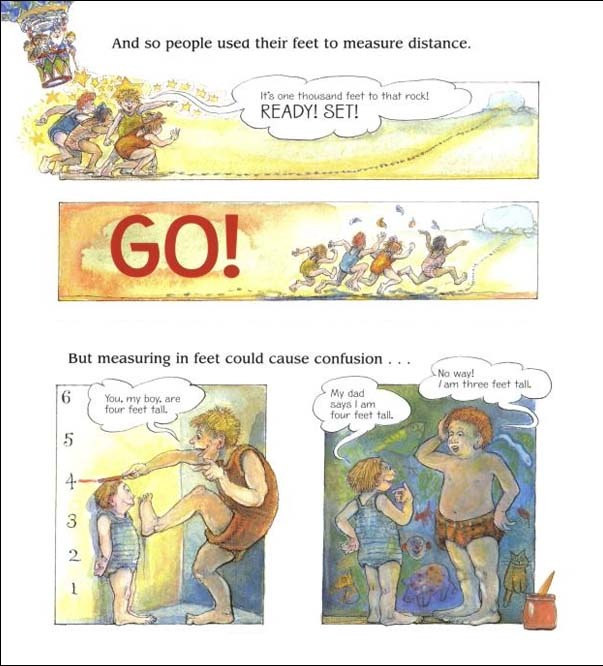 In a starred review, Booklist promises it'll "help kids absorb their centimeters and kilometers with relative ease." 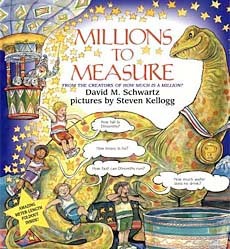 SLJ predicts it's "sure to join its predecessors [If You Made a Million, How Much is a Million] as a staple."